A beautiful holiday in the Maremma region of Tuscany. 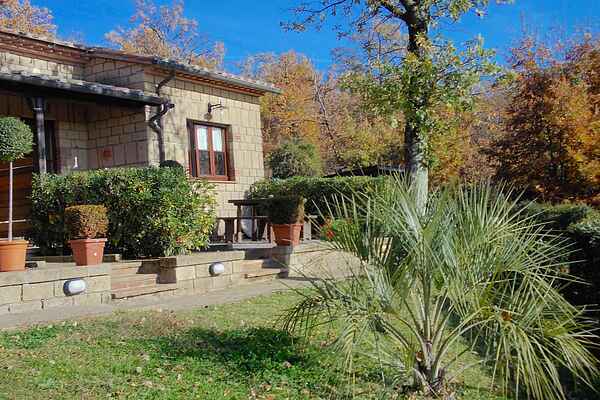 The house is only 1 km away from the Therme of Sorano and nearby Lake Bolsena. There are 3 apartments with a private terrace where you can relax and enjoy your holiday. The apartments are spacious and nicely decorated. There is a communal barbecue. The Maremma is a beautiful area with hills, Mount Amiata, small villages and near the Tyrrhenian Sea. Furthermore, the area is known for good food and fine wines. Montesorano tuff is close to the town of Sorano. Here you can make a nice walk. Pitigliano and Sovana are also worth a visit. The owner lives close to the house and he has great ideas for excursions. The Terme di Sorano at 1.5 km about 30 km. Away em Terme di Saturnia In August-September, there are many sagra's nearby. 1.5 km is a stable with horses (Belvedere).